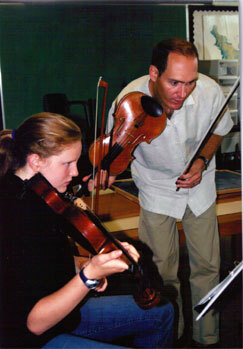 Our program features coached rehearsals with artist-teachers. Already formed groups are welcome or we will match you up with an appropriate group. For players wishing to be placed in a group, please send a brief recording. Only the application fee ($25) is due with your registration form. You will be billed for tuition upon acceptance. 10% discount for bringing a family member! Free ticket to “Vive la France” with flutist Robin Peery and pianist Jane Harty, including elegant French treats, on Sunday, Jan. 27th. Jane Harty, pianist, is the Artistic Director of Music Northwest. She holds a Doctor of Musical Arts degree from USC and directs the highly acclaimed Music Northwest Concert Series. Her teachers have included internationally-known proteges of Alfred Cortot and Artur Schnabel, and she participated in the classes of Nadia Boulanger. She has served on the music faculty of Pacific Lutheran University. Joseph Gottesman, violist, is Director of Chamber Music Studies at the Seattle Conservatory of Music. His performing career has taken him to a wide variety of settings. He has toured most of the United States, as well as Central America and the Far East. In 2006 he was chosen as the viola soloist for Lincoln Center’s production of Bernarda Alba and performed as violist for the Broadway productions of Aida, Bombay Dreams, 110 in the Shade, as well as the national company of Phantom of the Opera. 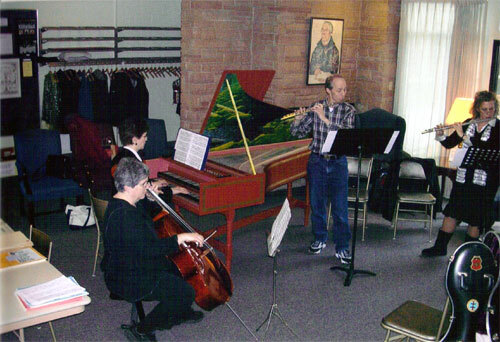 Mr. Gottesman served as Professor of Viola at Western Washington University. Violinist, Marjorie Kransberg-Talvi, studied at the Juilliard School with Sally Thomas and Dorothy DeLay. In 1976, she became a pupil of Jascha Heifetz at the University of Southern California. She served as Concertmaster and Resident Artistic Director for the Northwest Chamber Orchestra. 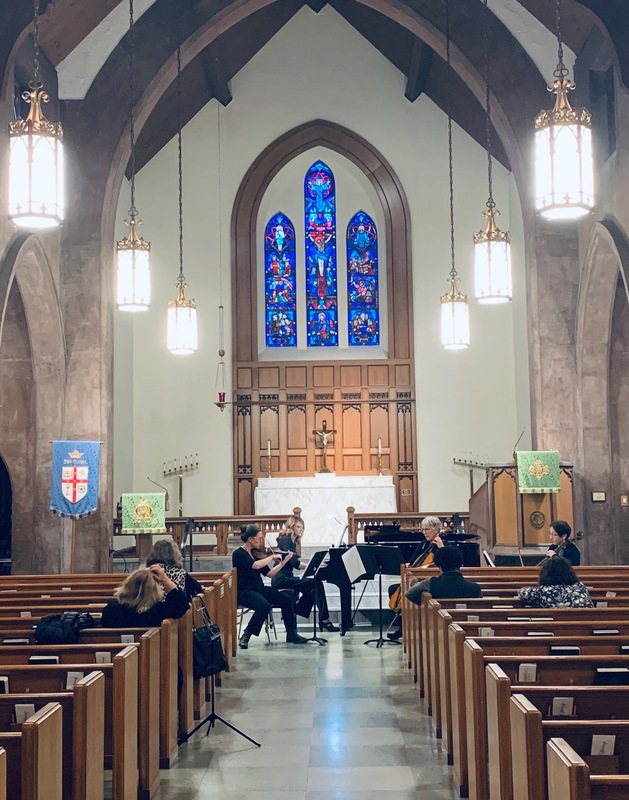 With her husband, concert violinist Ilkka Talvi, she maintains an active and thriving teaching schedule.This is her third season as Concertmaster for the Federal Way Symphony. Robin Peery, flute, is a graduate of The Juilliard School where she was a student of Julius Baker. She is currently the Principal Flute of the Carmel Bach Festival. She performs regularly with the Seattle Symphony and Seattle Opera. This season she is appearing with Emerald City Music and also guest performing with the Detroit Symphony Orchestra. 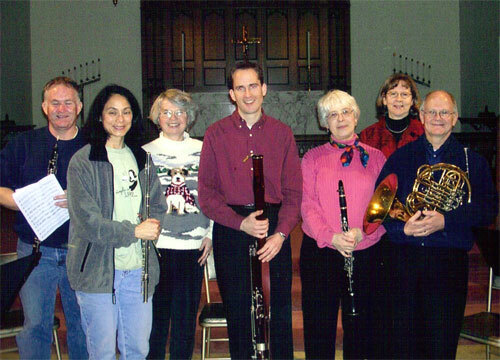 In addition, Robin frequently records with numerous Seattle ensembles for movies and television, as well as maintaining a private teaching studio. Learning music through movement, singing, and improvising is the heart of the work of Emile Jaques Dalcroze. Molly Porterfield was introduced to the Dalcroze Eurhythmics world at the Longy School of Music. She has degrees in Music Theory and Composition from Lewis and Clark as well as Jazz Piano Performance from Berklee School of Music. She continued Dalcroze studies at Juilliard as well as numerous national conferences. She teaches students of all ages, including for the Portland Public School district and Portland Youth Philharmonic. Miriam Shames, cellist, earned a BA in Literature from Yale University and a Masters degree in Cello Performance from Juilliard and spent the following 12 years working in arts administration, including 5 years as Director of the Piatigorsky Foundation. She has served as Principal cellist of Philharmonia Northwest, Assistant Principal of the Tacoma Symphony, and has played with Pacific Northwest Ballet, and the Northwest Sinfonietta. Currently, Miriam maintains a busy private teaching studio and is director of Carlsen Cello Foundation, a non profit that loans fine cellos to deserving and talented students who cannot afford their own instrument. Since his arrival in Seattle in 1979, flutist Paul Taub has been a leading performer of classical and contemporary music in the Northwest. 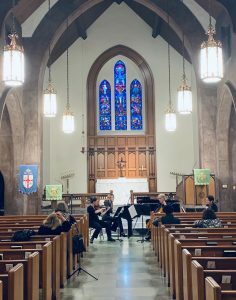 H has served as Professor of Music at Cornish College of the Arts, snf is a founding member and Executive Director of the Seattle Chamber Players. Very active in musical projects with former republics of the Soviet Union, Paul has toured in Russia four times and has also performed in Greece, France, Estonia, Poland, Ukraine, Costa Rica and at universities and colleges all over the United States and Canada.